Q. How long is the wait for an appointment? A. We have two office locations and most appointments are made within the same week. Q. How can I be better prepared for my appointment? A. Bring a list of current medications, a list of your current physicians with their phone numbers, and a list of questions you may have for the doctor. Q. How long will it take me to get my surgery scheduled? A. Surgeries are scheduled depending upon the patient and the urgency of the surgery. Q. When should I make an appointment after my surgery? A . It is recommended to follow up with your doctor within 7-10 days in most cases. Q. How long is recovery time after my surgery? A. Recovery time depends on the type of surgery you are having. It can range from 1 week to 8 – 12 weeks. Q. How long will I be out of work? Q. Is it normal to have bruising after surgery? A. Yes, it is normal to have some bruising. It will go away. Q. Will I have pain after my surgery? A. No surgery is pain free. Some pain is to be expected and you will be given some pain medication to help you manage the first few days. After that we evaluate each patient on an individual basis. Q. Will you call a pain medicine to my pharmacy? A. No, we do not call in pain medications. After surgery you will be given a prescription to take home. Once that finishes, if you still feel that you need pain medications we would like you to come in and discuss it with the doctor. Q .What procedure can you do laparoscopically? A. Please check out the procedure list, go to the laparoscopic tab, there you will find a list of procedures done. Q. What are the advantages of laparoscopic surgery? A. Having a procedure done laparoscopically is not painless, but it’s less pain than having the same procedure done with an open technique. The recovery time is much quicker. 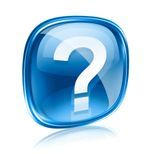 Q. I have had an abdominal surgery before, can I still have a laparoscopic procedure done? A. Yes, you can still have a laparoscopic procedure done. It may take a little longer and has a higher risk of being converted to an open procedure due to adhesions. However, it can definitely be done. Q. How soon can I start exercising? A. Again, this is dependent upon your procedure. You can walk soon after, but we do not recommend any heavy lifting. Q .When can I drive? You should not drive as long as you are on medications. A. Once you are off medications and your reaction time is normal it should be safe to drive. Q. Is it normal to be constipated and what can I do? A .Having an operation often results in constipation, even in patients who are regular. The combination of anesthesia, decreased activity and pain medications can produce severe constipation. We recommend drinking plenty of water and having Miralax, an over the counter stool softner. If you have had bowel surgery call the office and we will ask the doctor what is safest for you..
Q. Do you see patients who are uninsured? A. Yes, we do. The initial visit is $150 and there after is at an established patient rate of $75. Q. Do you do procedures in the office? A. The only procedure that is done in the office is removal of Permanent Dialysis Catheter. All other procedures are scheduled at one of the hospitals or an outpatient surgery center. Q. Where are surgeries performed? A. Surgeries are scheduled at Centennial Hills Hospital, Mountain View Hospital, Summerlin Hospital, and Durango Surgery Center.